Lunar Roving Vehicle controls. 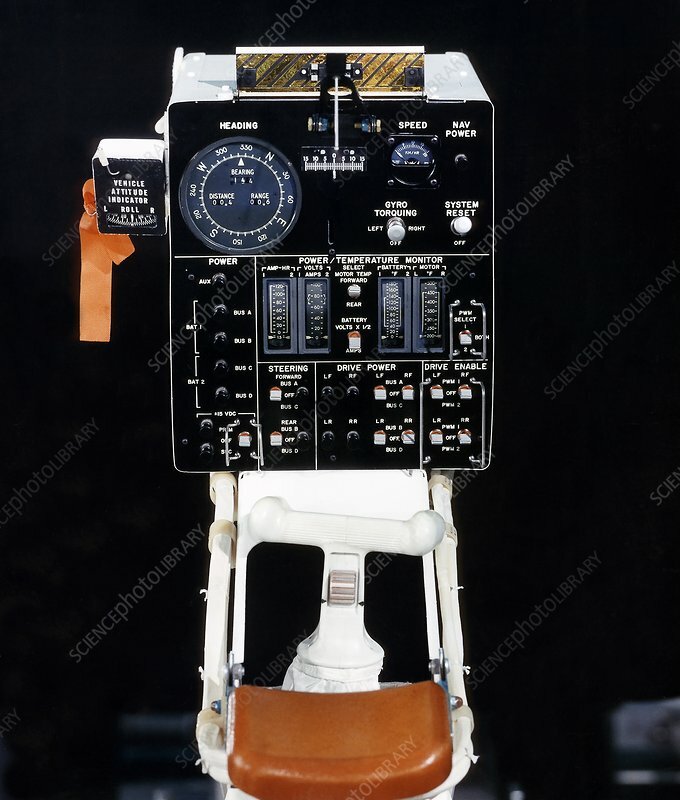 Display, control console, and hand controller for the Lunar Roving Vehicle (LRV) No. The LRV was built to give Apollo astronauts a greater range of mobility during lunar exploration. An LRV was used on each of the last three Apollo missions; Apollo 15, Apollo 16, and Apollo 17. It was built by Boeing under the direction of the Marshall Space Flight Center (MSFC). Photographed in 1971.